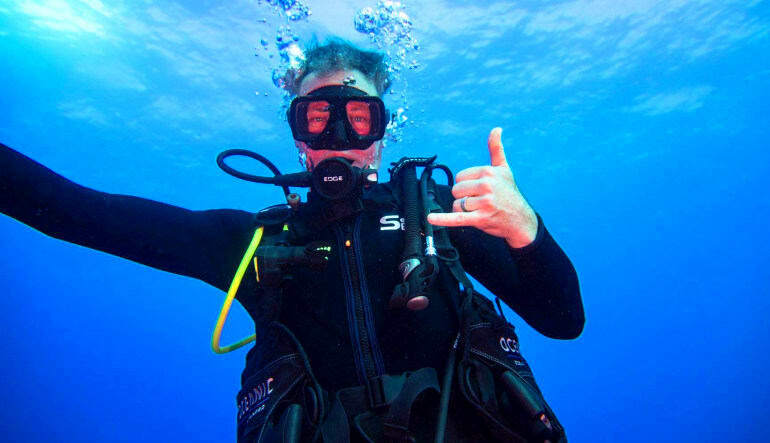 A deep-water adventure like no other, this Honolulu scuba dive has you exploring the mysteries of a wreck more than 100 feet below the surface! There are a number of exciting sunken boats to see! 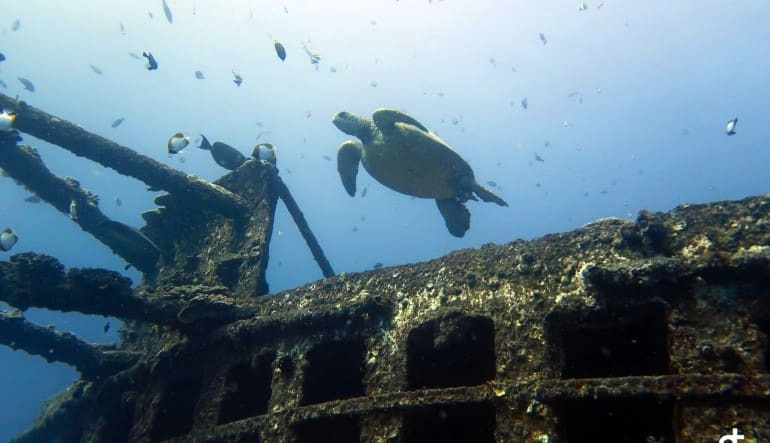 A deep-water adventure like no other, this Honolulu scuba dive has you exploring the mysteries of a wreck more than 100 feet below the surface! There are a number of exciting sunken boats to choose from as well as a slew of reefs also explored on this epic excursion! Dive one takes you to a unique underwater ecosystem formed on the wreckage of an old ship. Explore the ghostly vessel with a small group and spot the treasures dotting the ocean floor. 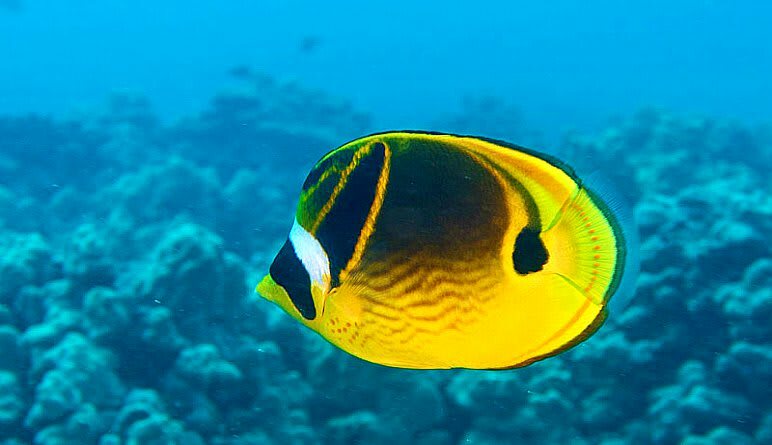 Dive two brings you to some of Hawaii’s most vibrant shallow reefs where you’ll travel 40- to 60-feet deep with other experienced divers and take advantage of some of the clearest waters on the planet! 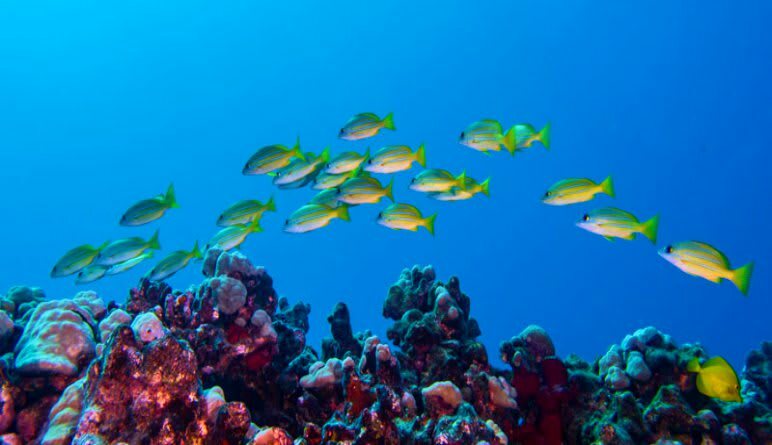 Enjoy two expert scuba dives in Honolulu! Head out on a boat with a small group of pro divers. 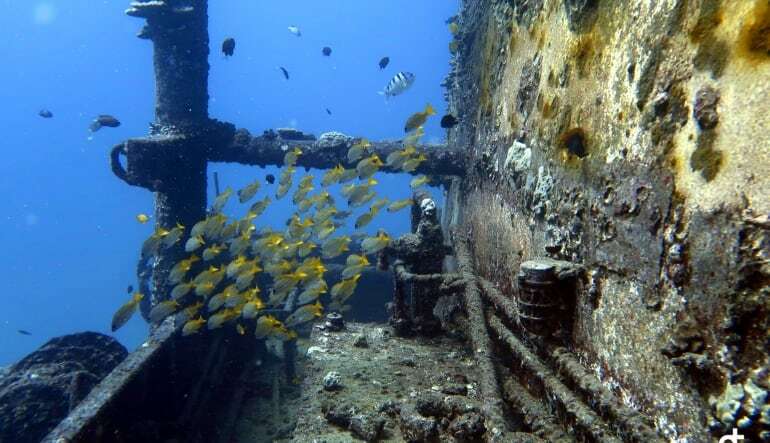 Travel 100 feet to the ocean floor and comb the wreckage of a sunken ship. Encounter pelagic fish and, if you’re lucky, even dolphins and whales! Next, it’s on to dive two, where you’ll explore the shallow reefs. 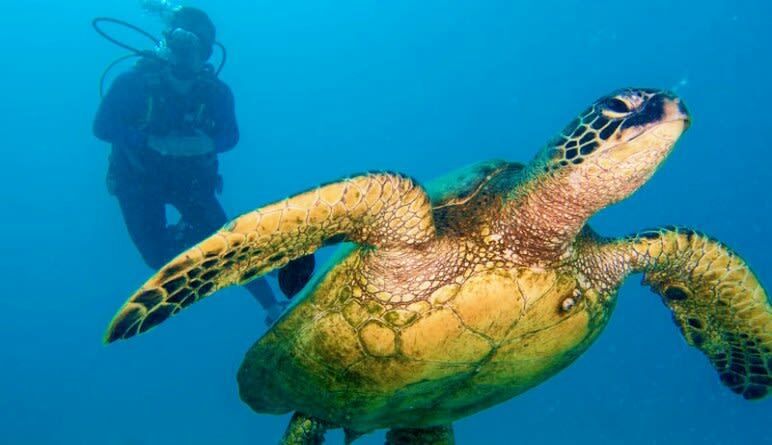 See octopus, turtles, eels and more! Diving with peers of the same skill level ensures you never slow down. Witness every bit of magic these sites have to offer!